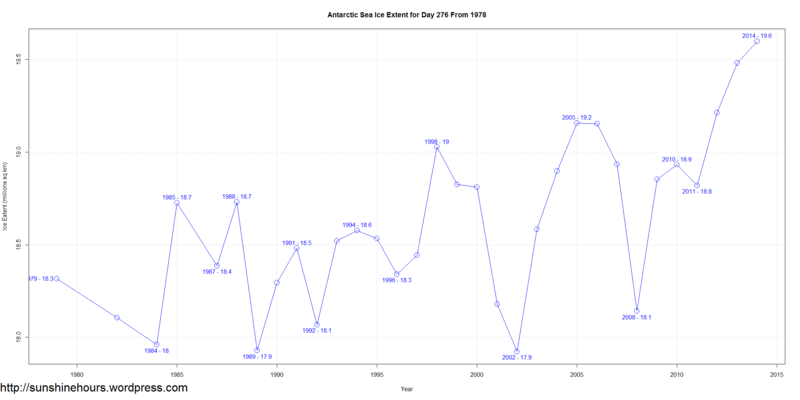 “The robot sub surveys, which were spot-checked by drilling and shipboard tests, suggest Antarctica’s average ice thickness is considerably higher than previous estimates. 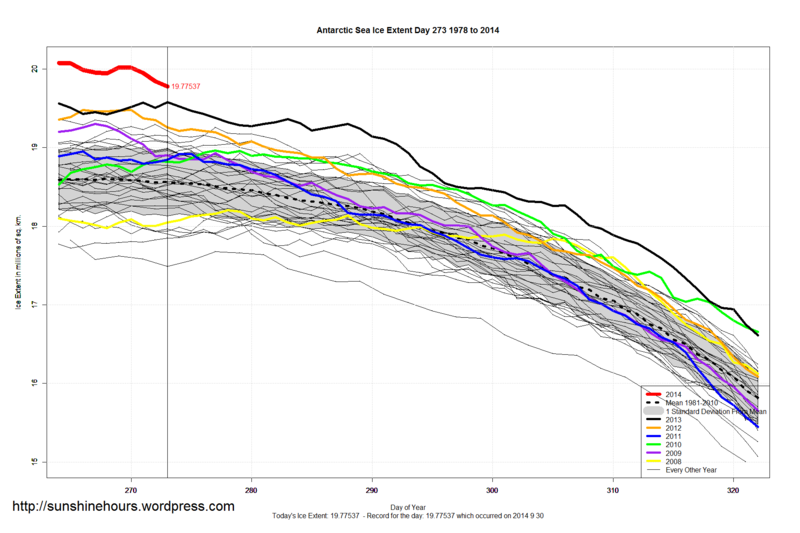 Antarctic Sea Ice Extent Oct 07 2014 – Up 72,000 sq km. Antarctic Sea Ice Extent Oct 07 2014 – 1,113,000 sq km above the 1981-2010 mean. Data for Day 279. 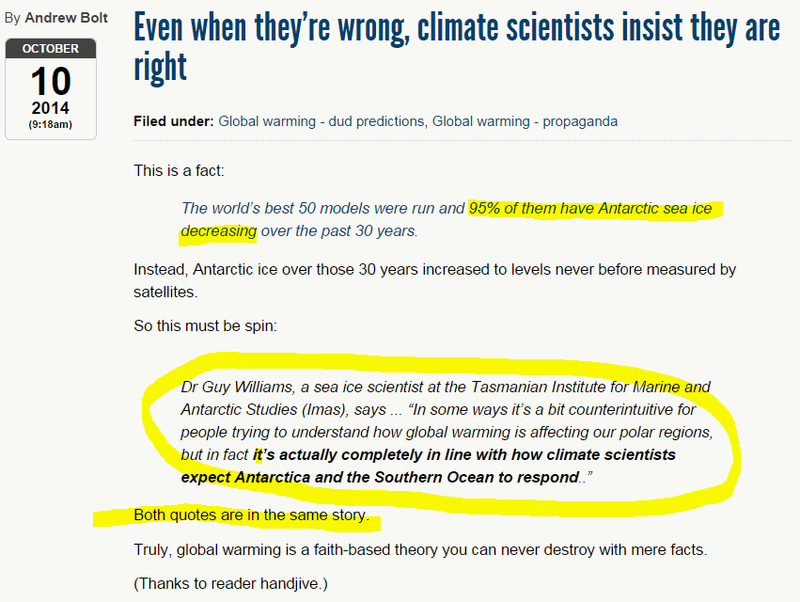 Data here. Antarctic Sea Ice Extent has taken a 72,000 sq km turn upwards. 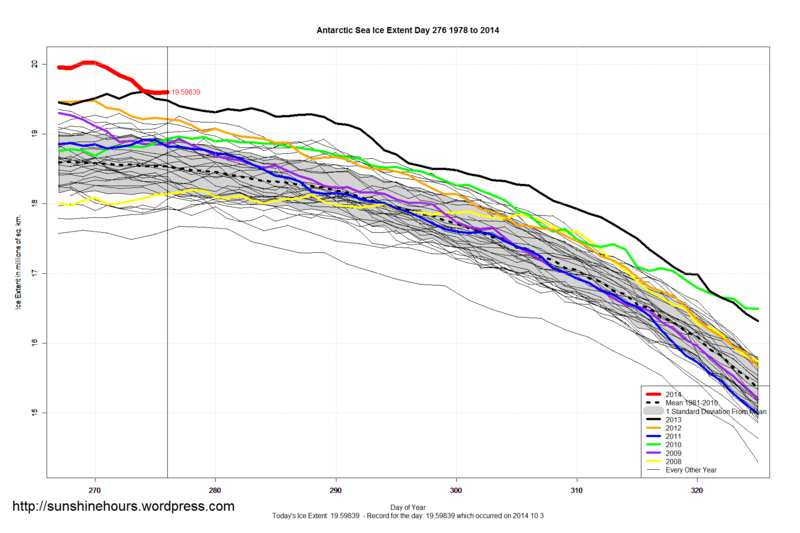 Antarctic Sea Ice Extent Oct 06 2014 – 1,032,000 sq km above the 1981-2010 mean. Data for Day 278. Data here. 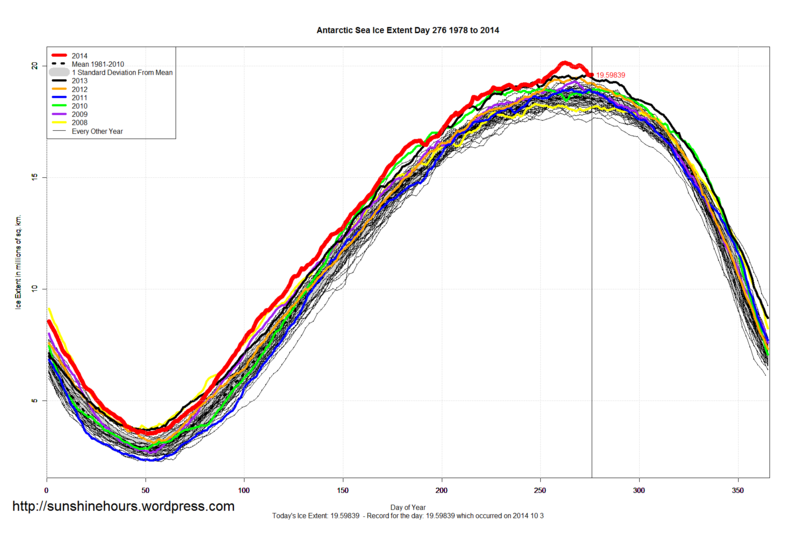 The 25 highest sea ice extent ever in Antarctica as of Oct 3 2014 (Day 276).